A French soiree presents two totally different dance works – naturally with a good dose of French elegance. Carolyn Carlson’s Pneuma is sophisticated and philosophical, an ode to humanity. 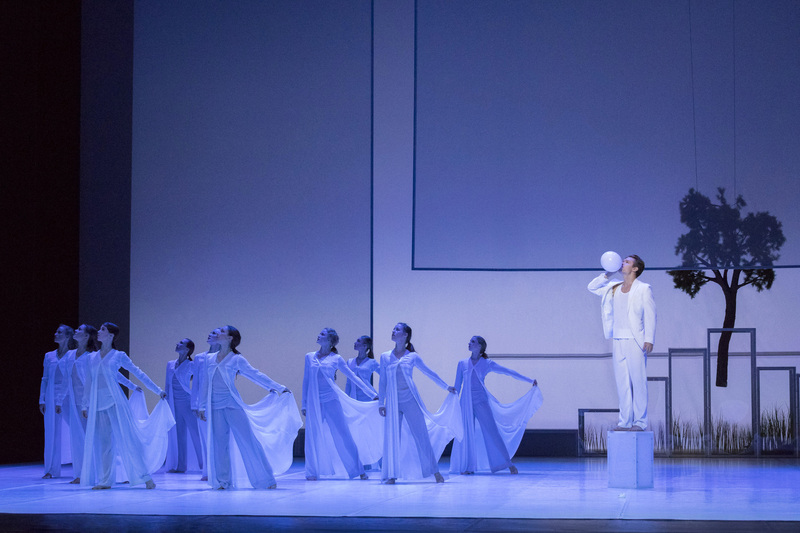 Serge Lifar’s Suite en Blanc radiates the style and glamour of pure classical ballet. 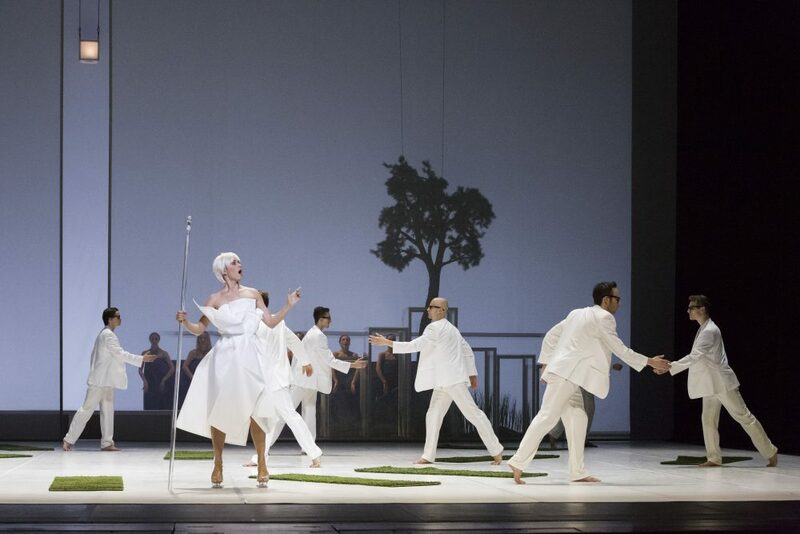 Though neither choreographer is French by birth, their work exudes a quintessentially French attitude. Each luxurious performance is flawless in its elegance. Très chic! Recommended for children over the age of 9. The recording of the first part of the French soiree, Pneuma, can now be seen on Stage24. The recording of the performance of the Finnish National Ballet on 17 October is produced in cooperation with HS Live. Pneuma is a luminous, poetic and symbolic work layered with dreamlike imagery. The dancers wear black and white and their movements are as clear and natural as breathing. The performance is about the duality of the human condition, the way it comprises of the body and the soul, the material and the mental. Pneuma is an ode to humanity, simultaneously poetic and passionate. The French have described choreographer Carolyn Carlson as ‘un monument de la danse contemporaine’ – a monument of contemporary dance. With a career spanning over 50 years, during which she has created over 100 choreographies, this is a very apt description of the contemporary dance legend, even if it contradicts with her vivacious and lively personality. Carlson’s works are inspired by her own lyrical vision of dance being closely connected to philosophy and spirituality. Pneuma is based on an essay by philosopher Gaston Bachelard in praise of the human nature, L’Air et les Songes (Air and dreams) from 1943. The beautiful music is by Gavin Bryars, a composer who started his career as a jazz musician. His work includes, for instance, four operas, string quartets and several concertos. 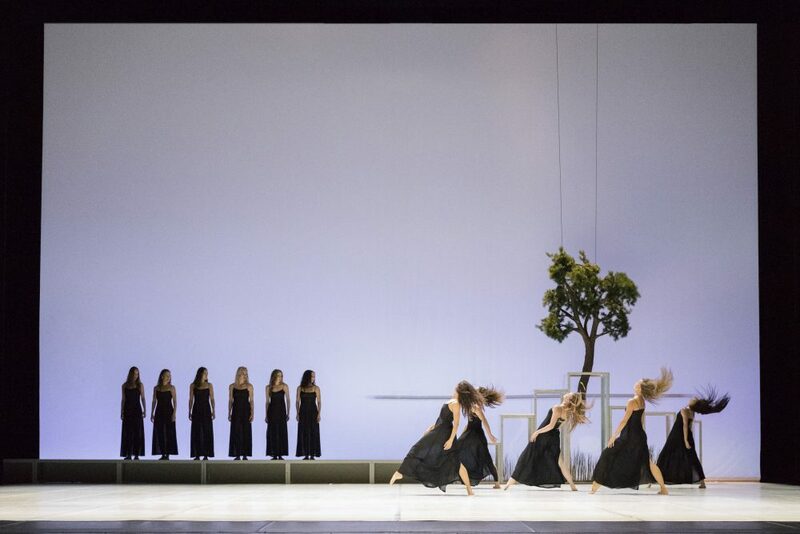 The choreographer, who has been awarded the Golden Lion at the Venice Biennale, has had her work in the repertoire of the Finnish National Ballet before. Most recently, in 2016, If Leave is to Remember touched both the audience and the critics. 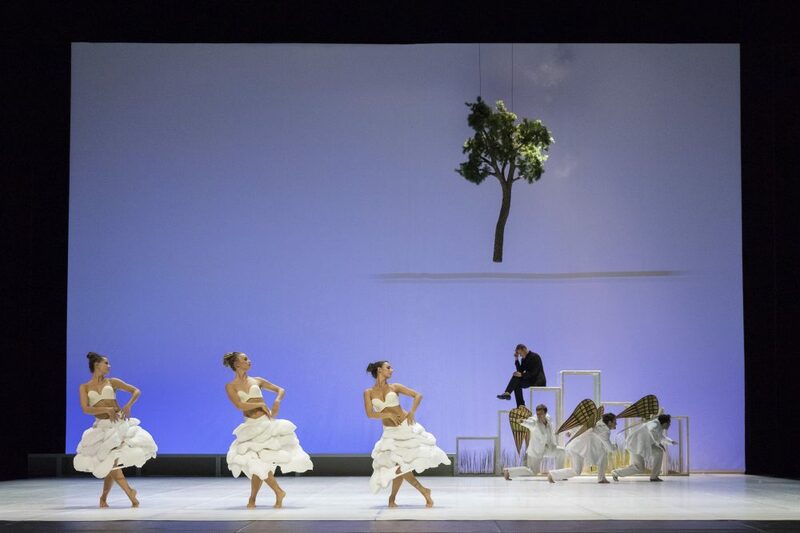 Suite en blanc focuses on highlighting its dancers’ virtuoso technique and style. Its ballerinas in white tulle skirts epitomise French chic. The costumes also include sparkling earrings, red lips and chignons adorned with white flowers. Even without a plot, the performance is full of drama. Out of its many solo numbers, the most famous is unquestionably La Cigarette, in which a 1940s femme fatale performs a series of hypnotic pirouettes and seductive balancing moves. 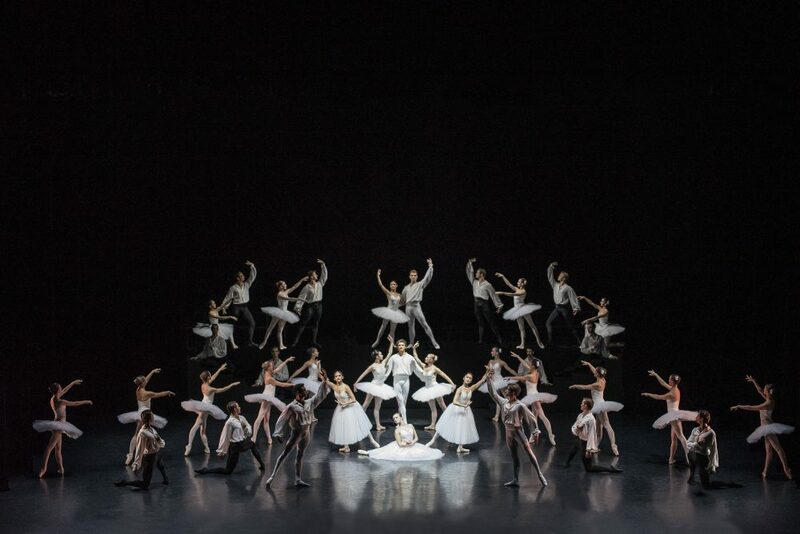 Suite en blanc, which had its world premiere in Paris in 1943, was named after the white costumes of its dancers. According to choreographer Serge Lifar, it represents neoclassical ballet style, a more modern take on classical ballet made famous by George Balanchine. Suite en blanc had a glowing reception, and it remains in the repertoire of Paris Opera Ballet and many other notable ballet companies. Its solo numbers are often performed in international ballet competitions. 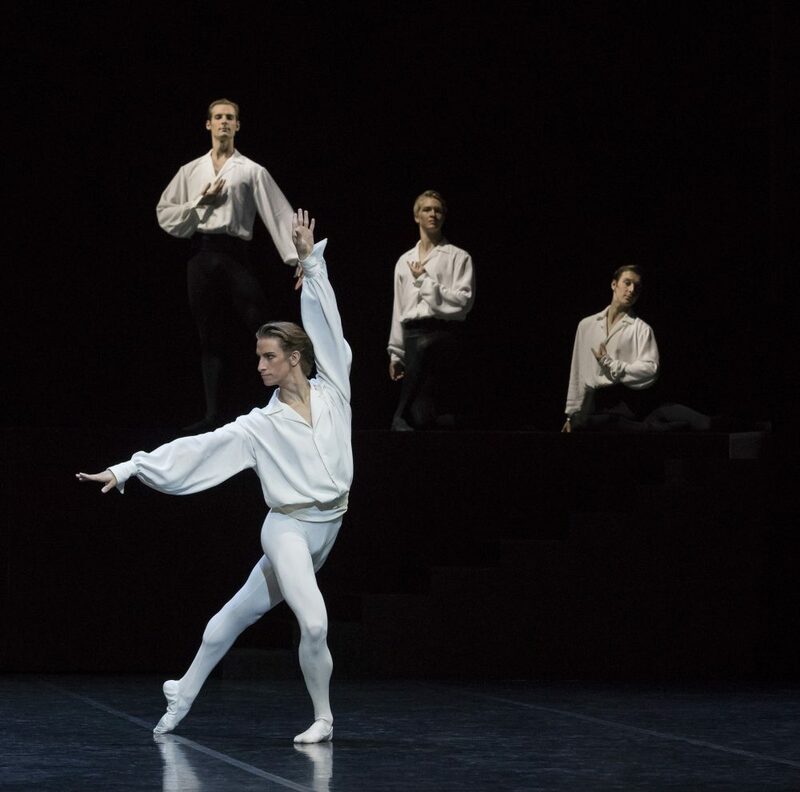 Suite en blanc was first seen at the Finnish National Ballet in 1960 when the choreographer himself came to Helsinki for the rehearsals. The ballet became an instant hit, with approximately 60 performances over nearly a decade in Helsinki and on foreign tours in Spain, South America and elsewhere. Pictured: the choreographer and soloists pose in the premiere at the Finnish National Ballet in 1960. Suite en blanc is presented by arrangement with Foundation Serge Lifar. Choose your favourite refreshments from this season’s tasty menu. You can easily add refreshments to your shopping basket while selecting tickets in our new online store. Refreshment sales for season 2019–2020 will start later in April. The services of the Opera Restaurant are available before performances and during the interval. Order beforehand and avoid the queues. Please note that we cannot guarantee a specific table for orders made via the online store. We may also seat several parties at the same table. You may be assigned a bar height table for enjoying refreshments standing up. If you visit us several times a year and would like to ensure yourself a seat at future premieres, a season ticket is the perfect choice for you. As a season ticket holder, you'll be entitled to special discounts, wonderful benefits and a designated seat in the auditorium. We are here to help you both in person and by phone, Monday through Saturday. Read about step-free access at the Opera House. Becoming a regular customer is worth it: see the twelve benefits granted to season ticket holders. Pull back the curtain and take a peek backstage on a guided tour. Find out more about the performances. Give a friend or family member an evening at the opera or ballet. Performances for children and tips for families. Read more about exchanging your ticket, ticket types, flexible pricing, discounts and our sales and delivery terms. Press bulletins, photos and tickets, interview requests and PR staff contact details. The Opera House is easily accessible by car, public transport and even bicycle. Fancy a treat? The Opera Restaurant has plenty of delectable options. Services are available before performances and during the interval. Make a splash and organise a reception at the Opera House. Season ticket performance. Individual tickets will go on sale on 5 August 2019.